Tracey Kelly is originally from Glasgow, but has lived in Ireland with her Irish husband for the past 22 years. She has 2 adult children. Great grandparents on both sides had Irish heritage and left Ireland to find work. She sees the irony in the fact that she has returned to Ireland to work. She says “I feel like I’m home just a few generations late”. Tracey is a Process Safety Consultant and Trainer who has an Engineering Degree from Strathclyde University. She also holds an MBA and MSc in Safety & Risk Management and is currently studying for an MSc in Psychology with a specialisation in business. While she is very busy with her studies, work and family she also finds time for a very unusal hobby – she keeps rescued battery hens. 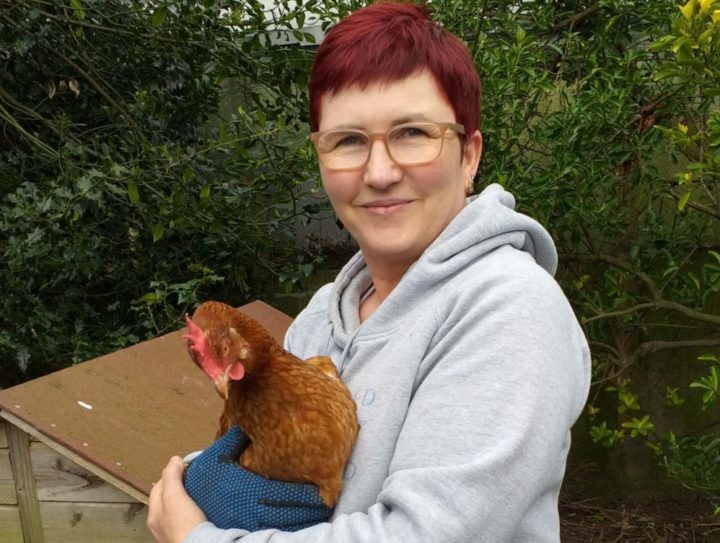 She loves the thoughts of giving them a safe home and the benefit of having fresh eggs every morning. Her career started in Scotland as a chemical engineer. In 1997 she came to work in Ireland where she progressed from safety manager to maintenance manager before becoming the director of safety and security at Elan. About 14 years ago Tracey was made redundant. At the time she had very young children and did not want to work full-time. There were few opportunities for part-time work in her area of expertise. She approached PM Group who had engineering roles available and who were actively looking for her skill-set. They advised that they could secure her part-time work if she were to become a Professional Contractor. “I was drawn to contracting as it provided me with the flexibility I needed when my children were small”. In order to start her contracting role she got in touch with Contracting PLUS and was set up in an Umbrella (Director) structure. “Umbrella companies are pre-existing compliant companies that are managed by a third party (Contracting Plus in this case). Becoming a director of an umbrella company allows you to operate as a limited company without having to go to all the time, trouble and expense of setting up your own company”, Tracey explains. “I’ve been with Contracting Plus for 14 years now, they are very helpful and make sure that my invoices are issued, my money is paid into my account, and that my taxes are returned. They always give me good advice on what expenses I should be claiming as tax-deductible”, she continued. Quality of work. Tracey never delivers work without having someone review it, and she’s certain this increases her professionalism in terms of reporting. Engagement with Colleagues. Tracey makes every effort to engage with and integrate into the company that she is contracting for. She says her enthusiasm for her desired outcome makes everyone more inclined to engage with the process. Tracey goes on to express her concern about the implications of Brexit on UK Contractors. 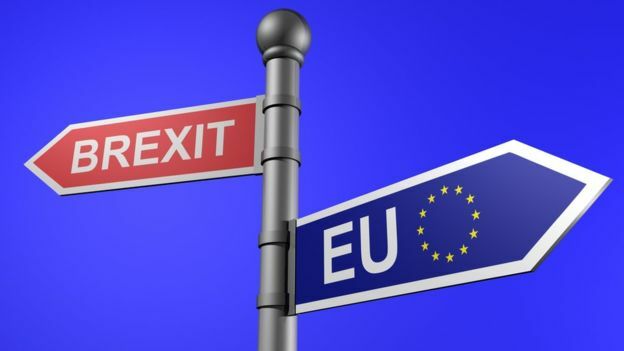 She notes that any British people who were living outside of the UK, and had not maintained a UK residential address, were not eligible to vote in the referendum, yet they are a group strongly affected by the outcome. 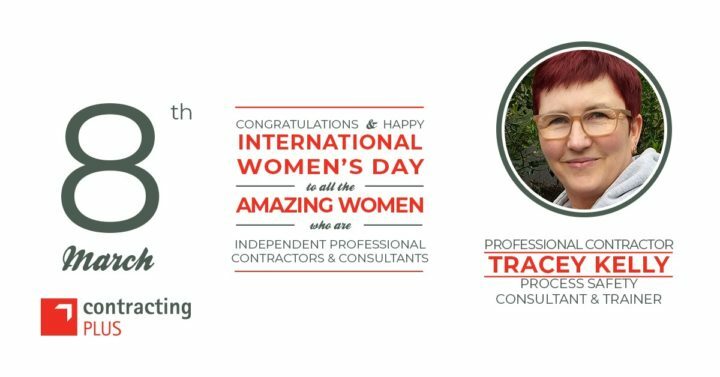 As a Professional Contractor, Tracey’s days are varied – a mixture of consultancy and training – she generally works on a few projects simultaneously. A lot of her work is home-based with site visits when necessary. Training courses are done on-site or in hotels. She provides Process Safety Consultancy mainly for CoMAH facilities in Ireland, including ATEX, HAZOPs and Risk Assessments. She regularly prepares and delivers in house process safety training. Tracey loves the flexibility of working from home, and the fact that she can multi-task is a big plus. “Yesterday I revised a risk assessment report but I also got two washes done, hung them out and made a loaf of bread”. She acknowledges that working from home can be lonely sometimes, but she manages this by engaging with her clients as often as possible using Skype, conference call facilities and on-site visits. She says that it’s important to build strong relationships especially when working with multi-disciplinary teams. When asked about what she was most proud of in her career to date she says “I developed an IOSH course with CMSE group – a leading provider of health & safety consultancy services in Ireland. This 5 day course is about “Process Safety”. It is delivered both as a public course and in-house by request. It is the only ‘Certified Process Safety Course’ being taught in Ireland”.